PT Bank Rakyat Indonesia (Persero) Tbk - Bank BRI or hereinafter referred to as "BRI" is a public-listed bank in Indonesia which is majority owned by the Government of Indonesia. As today, 56.75% of its shares are held by the Government of Indonesia, 33.78% by foreign investors, and 9.46% remaining shares by domestic investors. 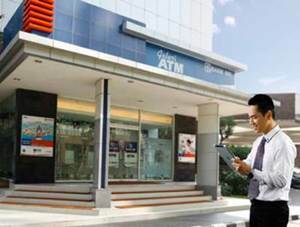 Bank BRI is recognized as the second largest commercial banks in Indonesia in terms of total assets. According to PT Bank Rakyat Indonesia (Persero) Tbk Annual Report 2015 as cited by JobsCDC.com, Bank BRI booked total assets worth of Rp 878.43 trillion and maintains third party funds of Rp 669.00 trillion as at the end of business year 2015 (ended in 31 December 2015). Bank BRI is registered in Jakarta and now supported by 19 regional offices, 467 branch offices, 603 sub branch offices, 5,360 BRI Units, 983 cash offices, 2,543 Teras BRI units, and 636 Teras Mobile Units as at the end of December 2015. The State-Owned Bank also supported by 4 directly-owned subsidiaries and 1 associated company; PT Bank BRISyariah (BRISyariah), PT Bank Agroniaga Tbk (BRI AGRO), BRingin Remittance Co Ltd, PT Asuransi Jiwa Bringin Jiwa Sejahtera and PT BTMU-BRI Finance. In term of financial performance, Bank BRI succeeded in posting positive financial performance in 2015. Referring to its annual report, the State-Owned Bank closed 2015 with a remarkable performance achieving a total consolidated net profit of Rp 25.41 trillion and revenue of Rp 22,468 billion, an increase of 4.88% compared to Rp 24.22 trillion in 2014. Female, good looking and friendly. Min GPA score 2.75 out of 4.00. Maximum age of 25 years old and single/not married. Minimum 1 year of experience as Secretary, but fresh graduate are welcome to apply. JobsCDC.com now available on android device. Download now on Google Play here. Please be aware of recruitment fraud. The entire stage of this selection process is free of charge. PT Bank Rakyat Indonesia (Persero) Tbk - Fresh Graduate, Experienced Secretary BRI August 2016 will never ask for fees or upfront payments for any purposes during the recruitment process such as transportation and accommodation.